Alissa Aron '11 (left) and Isobel Grad '11. Seniors Alissa Aron and Isobel Grad have been awarded Watson Fellowships, which fund a year of independent exploration and international travel for just-graduated college students. They are among this year's 40 awardees, selected from a pool of 148 national finalists. Watson Fellows come from select private liberal arts colleges and universities, and receive $25,000 to subsidize an independent project undertaken during 12 months of travel outside the United States. Grad, who one day hopes to be a food writer or cookbook editor, previously explored her interest in food culture as a John B. Hurford '60 Humanities Center fellow, for which she ran a seminar, Feasting on Culture: The Significance of Food in Everyday Life, last fall. Aron, another Humanities Center fellow, took that course. Steven Watter, the senior associate dean of the college and dean of student life who has acted as the college's liaison to the fellowship for 25 years, says that he's noticed that Haverford Watson Fellows tend to be deeply interested in their field of study.“It's as though the person and the project are virtually inseparable,” he says. He is proud of the longtime success of the College's nominees to the program (60 since 1973 when the College began nominating students for the program).“For me it's such a delight and honor to work with such outstanding students who have so much to offer the world,” he says. Two Haverford graduates, Madeline Kreider Carlson and Tim Richards (both '10), won Watson fellowships last year, and are currently in the middle of their own yearlong projects. Kreider Carlson has been studying the art and socio-economic impact of women's crafts in Guatemala and Egypt (where she witnesses this year's revolution), and is currently in Uganda. Richards has been exploring community approaches to environmental sustainability in Australia, Scotland and Portugal, and is currently in India. 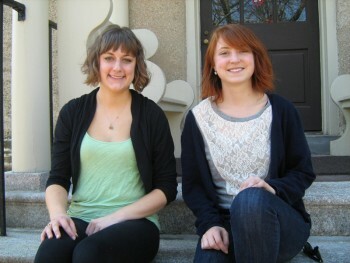 You can follow their progress on their respective blogs: http://madabroad.wordpress.com and http://sustainablephilosopher.wordpress.com. The children of Thomas J. Watson, Sr., the founder of International Business Machines Corp., and his wife, Jeannette K. Watson, established the Thomas J. Watson Fellowship Program in 1968 to honor their parents' long-standing interest in education and world affairs. In its 43-year history, more than 2,600 people have embarked on a Watson Year, which provides fellows an opportunity to test their aspirations and abilities and develop a more informed sense of international concern.